Superdry men’s Premium University Oxford short sleeve shirt. 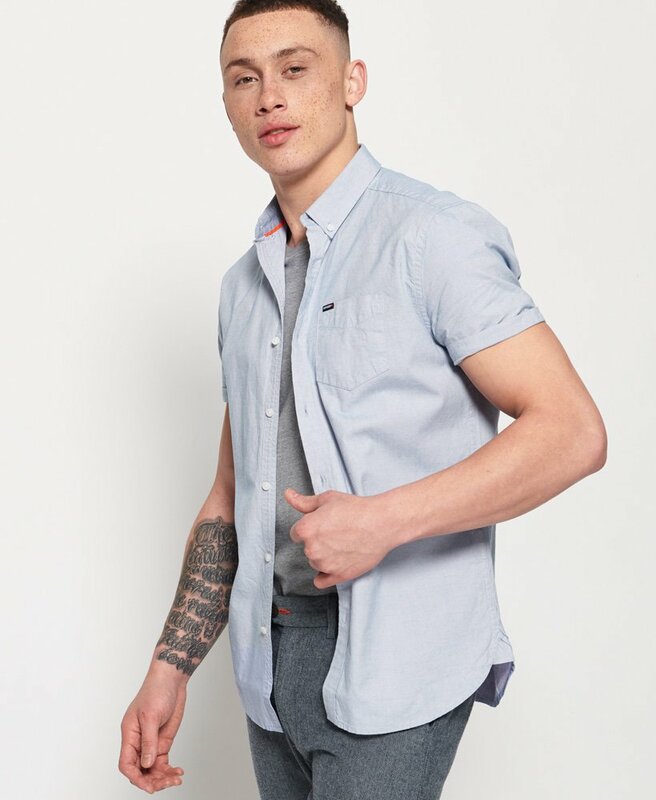 Smarten up everyday ensembles with this crisp shirt. It features a classic button down fastening and collar, a single chest pocket and logo detailing in the split side seam. In addition, this shirt also has a Superdry logo embroidered on the pocket and a Superdry tab on the sleeve. For a key look this season, pair this shirt with jeans and boots for a smart casual outfit.